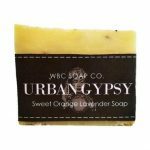 The Garden Rosemary Mint Soap by Body Scentsations is part of the company’s extensive line of French Milled soaps. Body Scentsations French-milled soaps are vegetable based with added sweet almond oil for extra moisturizing. In addition to sweet almond oil, all French Milled soaps are made with shea butter, olive oil, palm oil, and coconut oil. 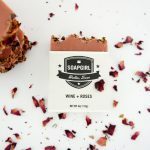 The Garden Rosemary Mint Soap is made with real peppermint leaves as well as spearmint, tumeric, essential oils of clary sage, and rosemary, of course. Customers agree that the rosemary mint soap is one of the most “invigorating” of all Body Scentsation soaps. 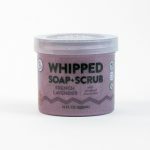 The peppermint and spearmint scents awaken the senses, so the soap is great for that first morning shower. Other French Milled soaps include: citrus delight, the milk and honey based complexion bar, the earth bar made with patchouli and cedarwood, the herbal scrub bar made with organic oat and wheat bran, lavender breeze, ocean breeze made with lemongrass and patchouli, palmarosa soap, rose geranium, and sandalwood. Body Scentsations French Milled soaps are 100% vegan. The Garden Rosemary Mint Soap and all other Body Scentsation products can be purchased online through the official body Scentsations website at www.bodyscentsations.com. You can also order by phone/fax by calling/faxing 1-866-874-BODY (2639). 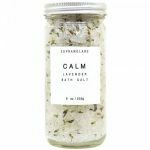 Body Scentsations sells earth-friendly, cruelty-free soaps that are considered safe for all skin types. Body Scentsations only uses pure ingredients such as shea butter, almond oil, and aloe in its skincare products. The company produces and tests its own products for quality and effectiveness. 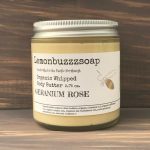 Body Scentsations sells soaps, body creams, body milk, body sprays, French-milled soap, glycerin soap, honey and olive soap, shea butter soaps, leaf soaps, loofa soaps, lip balm, and candles. The company even sells soap dishes to store your collection. 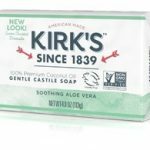 Please note that the glycerin soaps are made from pure vegetable glycerin (not animal based glycerin) with added aloe.